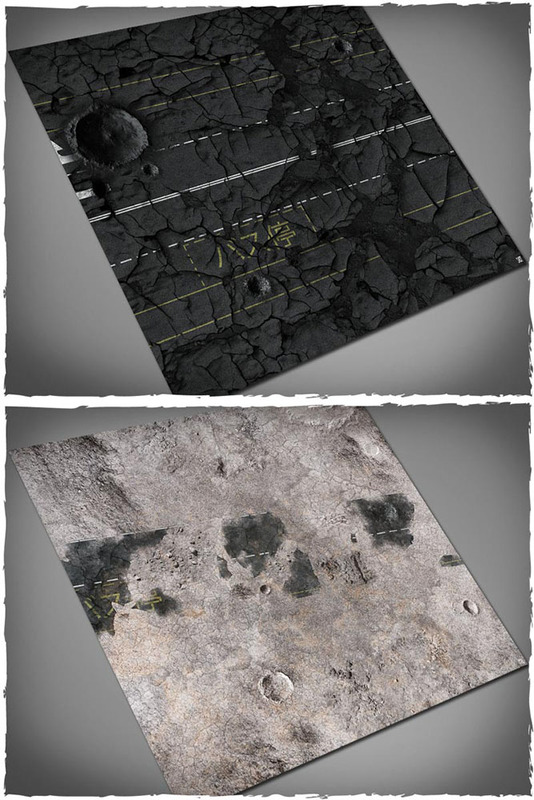 You can now get two new mats from Deep Cut Studio on our online shop, with the perfect measures to play Punkapocalyptic (4′ x 4′) and a suitable apocalyptic look. Remember that these mats, contrarily to the rest of our products, are sent by the manufacturer itself, Deep Cut Studio. Even though, to ease your troubles we will make responsible of any incidence during the shipment. Moreover, shipping costs are already included in the price and this product counts towards the free postage and packing promo on our website. These mats are sent in a rigid, sturdy cardboard tube that can be used for storage and transport. For more information, visit http://www.deepcutstudio.com/.